Every holiday has its jazz soundtrack, though some yield more copious results than others. When Thanksgiving rolls around, one track stands above all: “Stuffy Turkey,” a lesser-known entry in the glorious songbook of Thelonious Monk. The track originally ended Side A of the 1964 Columbia album It’s Monk’s Time. Monk appears on the album with a quartet featuring Charlie Rouse on tenor saxophone, Butch Warren on bass and Ben Riley on drums. Listen to the track, a rhythm-changes tune at a sauntering clip, and it’s almost impossible not to tap a foot (and maybe crack a smile). Monk was riding high when he recorded It’s Monk’s Time, in January of 1964. The previous year had been the most lucrative of his career: according to research by Robin D.G. Kelley, his gross receipts for performances amounted to $53,832, and he had royalties totaling $22,850. One month after the recording date, Monk appeared on the cover of Time magazine. There’s some debate over whether “Stuffy” was a true Hawkins composition or something he composed with the pianist Sir Charles Thompson. 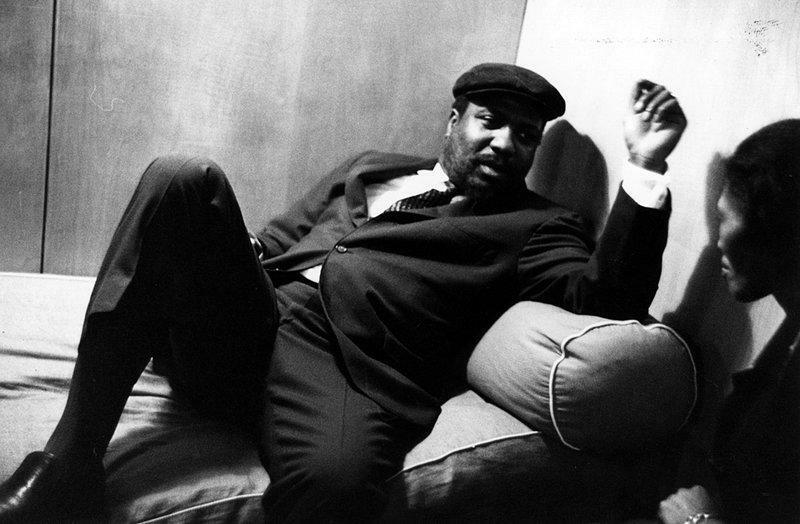 As Kelley suggests, in Thelonious Monk: The Life and Times of An American Original: “Thelonious associated the tune with Hawkins, and, given their resurgent friendship during this period, he probably recorded it as a tribute to him.” Monk’s alterations to the tune are small but significant: he creates a new bridge, stamping the proceedings with his own unmistakable style. Why “Stuffy Turkey” at Thanksgiving? The answer should be as obvious as the bird landing on the table. But there’s extra cause to celebrate the tune this year. We’re still celebrating Monk’s centenary, for one thing, and his music remains something to be thankful for. We also just mourned the loss of Ben Riley last week, at 84. Riley was a drummer of subtle, swinging magnificence, and “Stuffy Turkey” was one of the first tracks he ever recorded — or even played ­­— as a member of Monk’s band. Listen to his unerring and insightful time behind Monk’s solo, and you’ll understand why he kept the gig. And don’t miss his solo break, which begins just after 6:00. It’s both boppish and Monkish, a perfect fit in every way.